Reason TV reminds us that there is nothing new in regard to negative politics. The Election of 1800 still takes first place in regard to the vilification ladled on the Presidential contenders, John Adams and Thomas Jefferson, a subject I discussed in this post. One may deplore negative politics, but I suspect that it is part and parcel of the electoral process and that attempting to drive it from politics through legislation, something that I think would be impossible in any case, would be the classic example of the cure being worse than the disease due to the diminution of freedom it would entail. As we near the end of the election season, we can all breathe a sigh of relief that the political ads that infest our airwaves will soon vanish for the moment. If television had existed in 1860, I have no doubt that political attack ads would have been unbiquitous, and that the above video would have, judging from vitriolic partisan attacks in the newspapers of the day, been a temperate example. A week before the Presidential election in 1884, the Reverend Samuel D. Burchard, a Presbyterian minister, at a Republican gathering denounced the Democrats as the party of “Rum, Romanism and Rebellion”. James G. Blaine, the Republican candidate, denounced the anti-Catholic remarks three days later, but it was too late and Blaine lost the election. 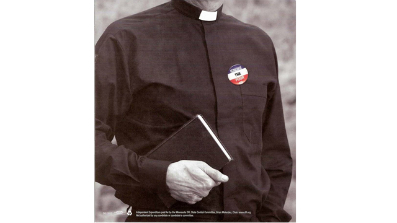 The memorable phrase helped cement most Catholics as Democrats for a century. Samuel Sewall, sensible of the reiterated strokes of God upon himself and family, and being sensible that as to the guilt contracted upon the opening of the late Commission of Oyer and Terminer at Salem, he is, upon many accounts, more concerned than any that he knows of, desires to take the blame and shame of it, asking pardon of men, and especially desiring prayers that God, who has unlimited authority, would pardon that sin and all his other sins, personal and relative. And according to His infinite benignity and sovereignty, not visit the sin of him or of any other, upon himself or any of his, nor upon the land. But that he would prowerfully defend him against all the temptations to sin for the future, and vouchsafe him the efficacious, saving conduct of His Word and Spirit. It is hard for most people to admit error; doubly hard for those in public life. In this political season it is appropriate to remember someone who had the honesty and courage to admit that he was wrong. We in America are the heirs of a very old English political tradition which established many of the concepts of civil liberty that we treasure. 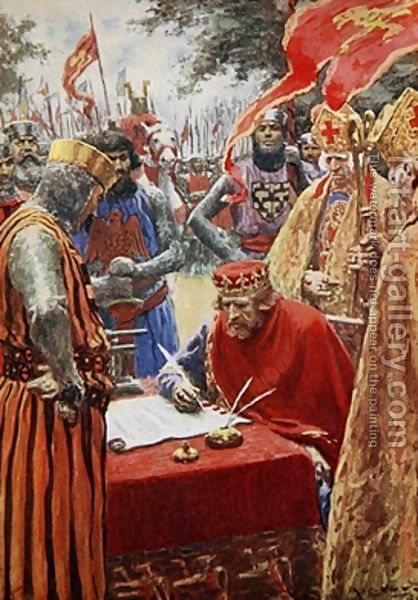 At the heart of this tradition is Magna Carta, the great charter of rights that King John’s rebellious barons compelled him to sign at Runnymede on June 15, 1215, 795 years ago. Documents like Magna Carta were commonplace in Western Europe during the Middle Ages, when the authority of kings were strictly restricted by nobles, commons and the Church. However, what is unusual about Magna Carta is its vitality. The English never forgot it, and whenever there was political upheaval in ages to come after 1215, the cry of Magna Carta was ever heard. This is the first post of a series looking at the American militia in the American Revolution. The activity of the militia in that conflict is one of its salient features. From the embattled farmers who took up arms at Lexington and Concord to the militia units that marched into New York City with Washington in 1783, the role of the militia in the war was all-important.